Almost all whitewater companies will give you a rafting speech whitewater talk prior to getting in the raft and on the river. Usually the guide assigned to your raft will spend a few minutes prior to your rafting trip to fill you in on what to expect on the rafting trip you have booked. In addition they will also cover some of the safety steps and safety equipment that you need to be aware of prior to your whitewater rafting trip. Part of the rafting speech will also cover the equipment that you will be using, how it works and what your role will be on the river rafting trip. These rafting speeches prior to your whitewater rafting trip are very important, so pay close attention. You are not only protecting yourself, but also your raft participants. Class one river rafting trips are not very challenging, however even with these trips you will want to make sure that you have the proper safety gear and that you are traveling with the group to avoid unintentionally traversing more challenging whitewater rapids. 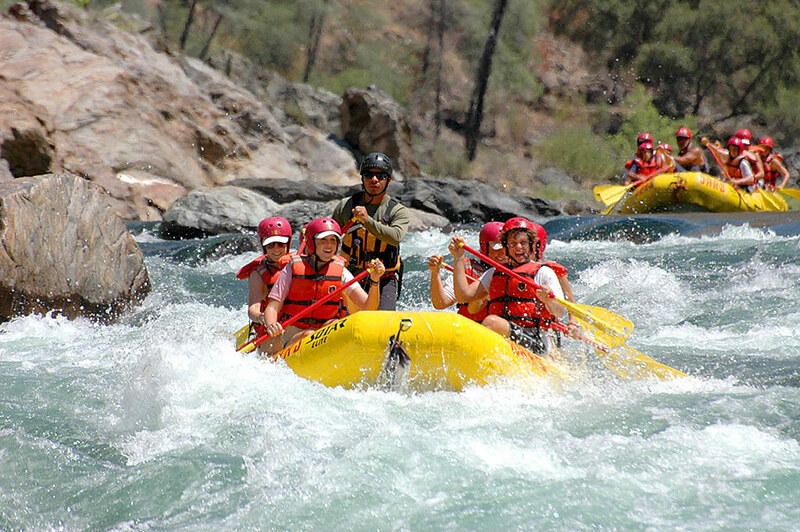 Whitewater rafting trips can be a lot of fun, even exhilarating for everyone including beginners as well as experts. Always keep them safe by listening closely to the speech that your guide will give at the beginning of the trip. Even experienced river rafters should pay close attention. Your guide will include information about current conditions of the river. In addition specifics about the section of the river that you will be rafting on. Conditions change constantly driven by dam releases, spring runoff and even local storms that drive the flows of water. Your guide will cover all of this as part of his speech just prior to your whitewater rafting trip. Typically they will have checked the local weather, the river flow and all of the equipment prior to launch. They will also review the skill level of all of the participants. This is to ensure that everyone is ready for the type of whitewater rafting trip that is planned. Enjoy your trip, follow instructions and make sure you wear your safety life vests as instructed. For more information about rafting speech whitewater and white water etiquette, click here. The following is the third and last in a three part series of an excerpt from an article written by Chris Joosse on the subject of White Water Right of Way Etiquette! This particular article is all about folks who love to Kayak. However these rules can equally apply to people who are part of a White Water Tour group. Lots can be learned from this article and that is why we wanted to post it on this web site. Hope you enjoy it and find it useful. Right of way is traditionally determined by necessity if you’re unable to deviate from your course, by necessity that course should be yours and nobody should get into your way. Hence, the paddler moving downriver, committed to their course, is granted right of way. Avoiding collisions, and therefore avoiding potential injuries, is a priority of a higher order than concerns about Right of Way. Given this, I would argue that my hypothetical decision to pick a collision course with Joe is reckless and irresponsible. After all, it’s not safe for me to assume that Joe has enough control in the hole to avoid me. For that matter, Joe doesn’t know if I can (or want to) miss him. In picking a collision course, I’m imposing on his sense of responsibility for our mutual well-being. In brief, both paddlers should be responsible for avoiding collisions. Because hey, people make mistakes – but if it’s not a mistake, you’re abusing the system. Whether you’re coming in from upstream or slipping in from the eddy and frustration about this kind of abuse is the reason this discussion came up in the first place. Getting along with each other is a very important consideration – so respect and courtesy should not be undervalued as part of our paddling experience. Sharing, taking turns, and simple line etiquette are all about respecting other people. Their right to a turn at time in the hole, and without that respect things can turn ugly. These are things we learned how to do in kindergarten, they’re not complicated, and are just as important in Kayaking as they are in real life. Other reality – In our less-than-ideal world, the 300-lb Gorilla makes the rules. Because cops don’t generally paddle and when they do, usually they’re not on duty. There is no law on the water, even if it can catch up with us on land, so we’re all on the hook to get along. Even in the face of another paddler who’s not making the effort. In reality, might shouldn’t make right, but in practice, it means let them have their way for now and you can sort it out later. 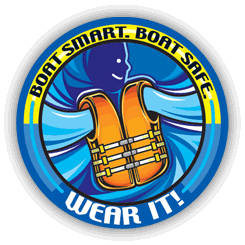 If someone, say a raft or a kayaker cuts you off or makes a decision resulting in danger or discourtesy to you. It’s best to pursue the matter in a way that’s both safe and diplomatic- that is, by getting out of their way, *then* pursuing the matter, hopefully in a diplomatic manner. It’s possible, after all, that they just hadn’t considered that they were being rude or unsafe, or that their actions would bother you- give them at least the benefit of that doubt. By the same token, don’t forget that if someone injures you, whether through deliberate action or through the consequences of deliberate action, there are laws that address this sort of thing. You are entitled to file a criminal report, press charges, and to recover damages if applicable. You are not, however, entitled to reciprocate their behavior, unless somehow that would constitute self-defense. If there’s a line for a feature and the feature is occupied, wait your turn if there’s an opportunity (like an eddy) to do so.- This is an exercise in simple respect. Respect can only be given. Folks who try to take it… obviously don’t understand it, and generally never get it. If you honestly can’t wait (there’s no eddy, no way to stop) ideally someone else should have seen you coming and will be taking steps to get out of your way, but you are still responsible to avoid collisions, even if the other guy cannot. It’s important to recognize that a busy playspot is shared on a turn-taking basis, and that the playboater’s mindset about respect is based on taking turns and honoring a fair system where everybody gets to take turns fairly and equally. As the saying goes, ‘When in Rome, do as the Romans do’- it’s the best way to avoid misunderstandings. Bonus: as a courtesy to you, as the upstream paddler, you’ve got an honorary position at the head of the line. If you’re in an eddy, yield to the person not in the eddy- If you’re in the eddy, you’ve got time- nothing is going to happen to you if you wait. The same is not true of the person in moving water- they have a limited time window in which to catch an eddy, catch a wave, or pass through. Because they are committed and you are not, common sense dictates that you yield to them. Do your best to let the upstream paddler through- The less you make other people wait, the more everyone will be able to play and the less friction there’ll be all ’round. Downriver boaters aren’t especially interested in taking turns, nor do they want to interrupt yours- they just want through- do your best to avoid making them wait. This is especially important if there isn’t a place for upstream paddlers to stop. If you’re in control, yield to the craft that is not in control, or which has less control than you- Both craft are responsible for avoiding collisions, so if you’re more capable of doing so than the other craft, your responsibility to yield increases, whether you’re going downriver or not. If you’re surfing, do your best to get out of the upstream boater’s way- it’s the polite thing to do, do it. If you’re coming from upstream, don’t commit to the feature until you’ve got a clear route. Before committing to the feature, check for traffic- If there’s someone already there, or headed there, yield to them. If you’re prepared to yield, you’re prepared to do the responsible thing and avoid a collision, even if the other guy isn’t. Avoid paddling over your head- If you’re not in control, all of this talk about courtesy is moot- if you can’t avoid the other guy, you’re relying on the other guy to avoid you… and while we all do this on occasion, if it’s a regular or predictable thing, you’re imposing on everyone else. The root of success is in common sense, courtesy and respect, rather than in dogma or tradition. The commonest flash-points on rivers are between paddlers who are surfing and paddlers who want to run downriver in the places where the former are surfing. I feel strongly that if you want to use the hole and there’s a line, you should wait and take your turn like anyone else if it’s at all possible. Common sense and courtesy (to say nothing of safety) should come before any assertion of the traditional ‘right’ of downstream boaters to claim a particular spot, regardless of who might be there or whether they’re in control enough to avoid them. As has been repeatedly stated, this discussion is about courtesy and safety first, and entitlement last. Nobody is entitled to any place on the river if the act of going there endangers another person. Tradition holds that ‘the downriver boater has right of way’, and this is a simple way of stating everything I’ve said above- but it does not entitle the upstream boater to force the issue and never has. Respect is something you give, not take… and this is about courtesy and respect just as much as it is about safety and common sense. Hope you found these three posts useful. Comments are welcome. For more posts about white water etiquette, click here. The following is the second in a three part series of an excerpt from an article written by Chris Joosse on the subject of River Etiquette! We decided to focus on white water right of way.This particular article is all about folks who love to Kayak, however these rules can equally apply to people who are part of a White Water Tour group. Lots can be learned from this article about white water rafting and that is why we wanted to post it on this web site. Often it’s argued that by convention the downstream boater always has right of way, but there are courtesy, common sense, and safety considerations that, to my way of thinking, require clarification this long-held tradition. ‘Right of Way’ is a commonly misunderstood doctrine, and these misunderstandings often create as many problems as RoW is meant to solve. The biggest problem with stating that one paddler has ‘right of way’ is that the word ‘right’ is in it, and this seems to confuse everybody. The commonest misunderstanding of this rule is in the notion that somehow while one paddler should give way, that the other paddler should TAKE it, as if their prerogative was sanctioned by holy writ. In reality, both boaters should be prepared to yield, and each should yield to a place where the other isn’t. This requires communication- if it is impossible to establish eye contact or communication of intent (I’ll go this way, you’ll go that way) then it’s the responsibility of the party in control to avoid a collision. Right of way is an operational doctrine derived from its utility, and from the demands imposed upon us by the realities of the river. In maritime law, (which is not applicable to the river in the context of kayakers and rafters- the coast guard doesn’t know, doesn’t want to know, wants no part of regulating, policing, or enforcing the rules of the road on waterways it doesn’t consider to be a road in the first place, and among craft it doesn’t deem necessary to register or regulate for that matter.) it is full of rules and exceptions for example, craft under power are responsible to give right of way to craft not under power. At the same time, however, shallow-drafting vessels must yield a navigable channel to deep-drafting vessels, even if the deep-drafting vessel is under power and the shallow-drafting vessel is not. Why? It’s done that way because it makes sense. In other words, there’s nothing holy or important about being the one going downstream, and there never has been- the important consideration is whether you’re committed to going where you’re going. Still, too many people behave as though simply being the upstream paddler is the only valid consideration worth mentioning. On the river, among kayakers, where there are no codified regulations in effect, we must also conduct ourselves in a sensible manner, in accord with the realities we face- and the reality is that we have no inalienable right to go anywhere we want if there’s a chance that exercising our prerogative to do so will result in harming (or arguably even disrespecting) another paddler. In this sense, a paddler’s ‘right of way’ is more a courtesy granted to one by the other guy than it is an actual ‘Right’ to be exercised. Let me repeat that last bit- we’re not talking about rights, here- this is an exercise in courtesy. Like respect, Right of Way cannot be taken- it can only be given. As it is with all such things, it can be taken for granted, abused, or flouted. Some paddlers routinely steer themselves into collision courses expecting the other paddler to take responsibility for getting out of their way. They don’t consider that this is not only rude and unsafe, but violates one of the prime tenets of fairness in our culture (and for that matter, most cultures): do unto others as you would have them do unto you. For clarity, I suggest that we let go of the notion that ‘the upstream boater has right of way’. Instead focus on the equally shared responsibility that each paddler has to avoid the other. In other words, instead of one paddler being responsible for yielding to another, both paddlers should make an equal effort to do so. If you’re in the hole surfing, keep an eye out for upstream boaters. Head for the shoulder to let them through downriver paddlers just want to run through and the less they have to wait, the better. If you’re coming downstream, don’t commit to the hole until there’s an opening or until the paddler who’s there has acknowledged you. At the same time, if you’re a play boater, you’ve got all day in this hole. Do your best to let people who want to come through do so. Get out of their way as quickly as possible, it’s the courteous thing to do. This is the system by which most play spots I’ve seen tend to operate. Everyone shares, everyone respects everyone else’s right to have time in the hole, everyone takes turns. But there are exceptions. Rafts are less maneuverable and generally big enough that nobody wants to get run over. They tend to claim their line regardless of whether someone happens to be there. Some paddlers who mistake being yielded to for being respected, force the issue in unsafe ways. Some paddlers who believe that their right of way is more important than your mutual safety do the same. It’s true, not so long ago (before play boating became popular) it was popularly held that the downriver boater always has right of way. But in situations where exercising that prerogative is unsafe, common sense, courtesy, and respect dictate what makes sense. Nobody really has any ‘rights’ on the water in this regard, save for the basic rights we all enjoy on land, such as the right not to be injured by other peoples actions or negligence, for example. We all seem to agree that Joe play boater who zips out into the hole in front of Jim downriver boater is in the wrong. We seem to disagree, however, about why we agree on this point and by extension. We disagree on another point- on whether it’s appropriate for Jim Down river boater to expect Joe Play boater to exit the hole. If he was there before Jim put himself in the position of being committed to the hole. Watch for the next post in the last of this 3 part series. Comments welcome! For more posts about white water etiquette, click here. The following is the first in a three part series of an excerpt from an article written by Chris Joosse on the subject of River Etiquette! This particular article is all about folks who love to Kayak, however these rules can equally apply to people who are part of a White Water Tour group. Lots can be learned from this article and that is why we wanted to post it on this web site. Hope you enjoy reading this post and can learn from it. Your comments are welcome. As kayaking has become more popular and as river traffic has increased over time, it has become necessary to evolve conventions of etiquette and right of way to minimize the otherwise inevitable friction that arises as a result of crowding around playspots. The first order of business is to understand that courtesy, safety, and common sense are the basis from which river etiquette are derived. Nearly everyone’s heard stories about nightmare days on the river where a friend met up with some stranger at the put-in who overstated their abilities and then proceeded to swim nineteen times, didn’t have float bags in their boat, scammed a bit of everyone’s lunch, didn’t have a rope, a clue, or any common sense… and while these stories are mercifully rare, they do happen and they can make for a frustrating day for everyone involved. It’s expected, if you’re looking to attach yourself to a group at the put-in, or if you’re arranging to paddle with someone you don’t know, that you be prepared to answer a lot of questions about your abilities, familiarity with the run, what gear you’re carrying, your experience, etc. Be honest. If someone asks to join your group, don’t be shy about asking for credentials, whether they’ve done this stretch of river before, whether they’re carrying appropriate safety equipment, whether they’ve got float bags in their boat, and don’t be afraid to refuse their request if you think they’ll be a problem. Unless you’ve got an understanding with your party to the contrary, it’s not just unsafe to put yourself in a position where you’ll regularly require rescue, it’s a fairly serious imposition upon their generosity. We all get into trouble and need help from time to time, but if your ‘time to time’ is on a regular basis, you may have a problem. Not only are you making decisions that endanger you and your group, you’re putting them in a precarious position. It’s sensible, not only out of your own interest in remaining healthy and alive, to avoid putting people in your party in a position where they might have to choose to save themselves over saving you- that is the stuff of nightmares. Paddle responsibly. Believe it or not, there are do’s and don’ts involved in rescues. Don’t wait for a rescue if you can safely work on self-rescuing. When your buddies get there, they’ll appreciate your effort. If you’re on the receiving end of a rescue, do your best to help. That means kick when your rescuer says ‘kick’, let go of your boat if your rescuer tells you to let go of your boat, and let go of your rescuer if that’s what they say. In a rescue situation, the rescuer is boss and their word is law. Your job is to cooperate with your rescuer to the best of your ability, and to endanger them as little as you can. It’s best to make their job easy- make eye contact with them, talk to them, let them know you’re not going to climb up on their boat (and them) in a crazed panic. If you don’t tell them, they’ll have to find out somehow. As a rescuer, your job is to avoid endangering yourself first, and help the other guy if you can second. Before you collect a swimmer, talk to them- ascertain that they’re copus mentis, (do not come in contact with a swimmer who’s panicking) establish a plan to get them to safety, and execute on that plan. If they’re not cooperating, bark orders. If they put you in danger by not cooperating, no holds are barred. If you’re not involved in the rescue, you’ve got two things to do: 1) make sure you’re safe, the rescuers can’t deal with more people to save, and 2) if you’re capable of helping somehow without endangering yourself or others, help out. After the rescue, remember to thank everyone involved in it. It is considered good etiquette to offer beverages at the end of the day to anyone who either recovered gear or you, at a rate of one beverage per item/incident. We abuse the word ‘navigable’ when it comes to water on a regular basis. The word ‘navigable’ means different things in different contexts, and in different principalities because one meaning of the word refers to whether said water can be navigated in fact, while the legal usage of the word means something different rules vary from state to state, but generally in the US for a body of water to be deemed ‘navigable’ in the legal sense, it must have a history or current demonstrated use for hauling commerce, or be specifically declared ‘navigable’ by a state (which normally uses the prior test). It’s been wrangled to and fro, but according to precedent in every state that I’m aware of, “the ability to float it in a canoe” does not satisfy the law’s definition of navigability, despite our ability to actually navigate it. The reason for the more stringent test is one of property law- ‘navigable’ water is always held by the state or principality as a public trust, while ‘non-navigable’ water is subject, depending on specific states’ laws, to private ownership… and one of the fundamental principles in the US constitution is that private property is more or less holy. What this means to you and me is that very often we don’t actually have the iron-clad right to be on a given reach of water and although it may be common practice to run a stretch of river not deemed officially ‘navigable’ in your principality, it still pays to curry good will with the locals and adjacent landowners- be discreet about changing, courteous about parking, and invisible in all other respects if at all possible. Watch for our next article in this series regarding Right of Way. Comments are welcome. Spam will be deleted. For more posts about white water etiquette, click here.